I'm alive oo and completely fine now and I've missed blogging, so so much. I have received so many well wish messages, emails, comments on Instagram and even a couple of tweets these past few weeks, it has been virtually overwhelming sometimes. If you you follow me on Instagram, you probably saw the picture of me and my pink cannula that I put up about 3 weeks ago. 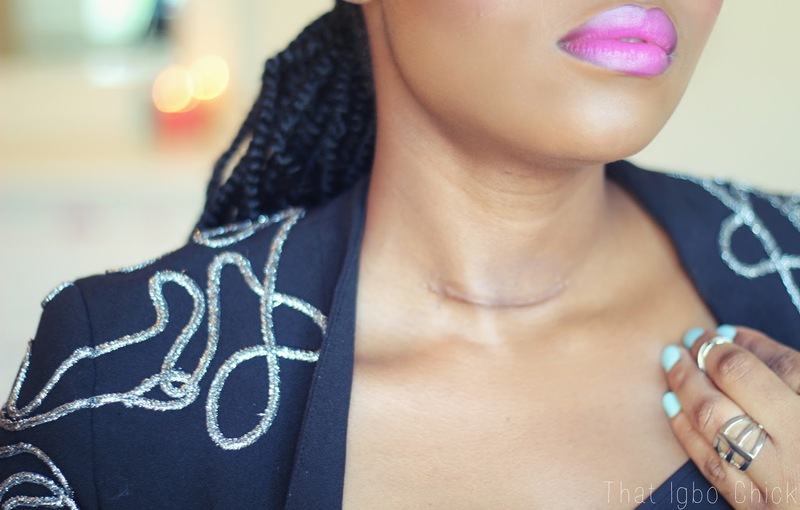 To cut every story that might ensue short, I had a Total Thyroidectomy (Ogbodogbo Oyibo). For those of us that do not know what that is, it is the surgical removal of all your thyroid glands. I noticed that I had swelling at the base of my neck a while back and when I did, I went straight to see the doctors. I did all the necessary tests, three times! once in Lagos, another time in Enugu just to make sure and a third time in the UK just before the surgery. The results all showed that it was not toxic or harmful which goiters could be at times but I was also told that it was most likely going to get bigger. Well it did, and in a rate that I didn't quite anticipate and it also hurt sometimes so it had to go. As most of you could tell from the the first picture, I still have a scar. I had the surgery done on the 19th of last month so the scar is literately less than a month old. It is going to go down with time though so it doesn't bother me. I know people who have done this surgery in the past and looking at them now, you would not even know if they didn't bother to tell you. The surgery went smoothly but that didn't surprise me because I know my God. With this surgery, your vocal cords could get a bit bruised, nothing permanent so my voice is still a bit raspy but that too will completely change with time. I have a slightly deep voice that might sound deeper in upcoming voice overs so don't say that I didn't warn you. Before I go I just wanted to let you guys know that it is important to check out any swelling that you feel in your neck area. Mine was immediately obvious to me because I had always had a skinny neck and and also because the swelling was more to the side than in the center. An aunty who is related to me by marriage went along with me to the hospital on the day that I decided to check it out. While the doctor was attending to me, he conversationally told us that 1 out 5 women in Nigeria have some sort of thyroid swelling and most of them don't even know it. While he was talking then and there he told her to raise her neck and tilt it to the side and bam! there it was and she didn't even know it! It is important that you go straight to the doctor if you notice anything because goiters can be toxic sometimes and if you don't know, it could affect a lot of things, even fertility so sometimes a fat/broad neck neck is not really a fat/broad neck. P.S - I have a lot of reviews coming up soon so you guys should please keep checking this space! O wow, glad to know you are ok Dimma. Thank God for the successful surgery. p.s. love the new blog look. Was just thinking of redesigning my blog to something like this too. Now I have seen it, I definitely will be redesigning it, lol. Oh darling, it's good to have you back. That your insta pic of your unplanned leave, i was just worried o, wondering what illness would land you in a uk hospital. But we Thank God for a successful surgery.... Your healing is complete in Jesus name. 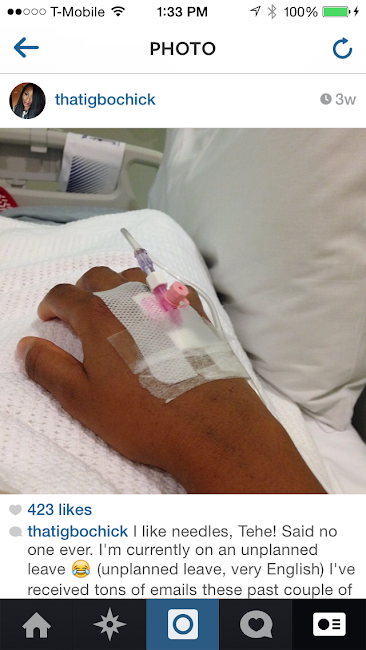 wow, I'm truly sorry, I thank God you had a successful surgical operation and its glad to have you back blogging. Thank you so much for sharing with us the symptoms and effects. Thank you so much Agatha, you are welcome. Thank God for a safe surgery. Thank God for you dear.I'm so glad you're back. Please your next post should be a detailed skin care routine. I'm sure me and everyone else would love to see it. Thank you, it will be up very soon. Thank God for your health and full recovery. May God perfect all that concerns you in Jesus name amen. Thank God for your speedy recovery. It shall be well ok. Thank God you are okay dear. Thank God for safe surgery. I have a friend who is going to have her surgery next week. Didn't know it was very common. Wi have to start checking my neck for any changes. Wow thank God ur back and feeling a lot better. You still look fabulous, Missed your posts :D. Only God news we will hear from u today hence forth. I had this surgery in April and all is well. Glad to see that your results were the same. "God is Amazing"
So good to have u back! Thank God you are better now my dear .. Thank God for your improved health. People have to learn to check their bodies more. Be vigilant. Thank God for a successful surgery,it is well with you. I'm so glad that you are recovering. My sister has this same surgery about 2 weeks ago. Thankfully, you both are doing well. Wishing you continued blessings! Thank God for your life Dinma, i'm glad you are alive and well. Thank God for dimma ooo,or beauty shall not be turned to ashes in. Thank God you are fine now. May God continue to protect you. Awww dear..... Thank God you had a successful surgery. I've been wondering what could have been the problem. Now I know, and am glad you are recovering fine. Can't wait to not see the scares again soon:). Either way, I thank God for your life. God is indeed faithful. Have a nice time recovery. I expect more updates from you soon. Hello Dinma! nice to have you back. I just want to say a big THANK YOU for making out time to do all these makeup videos for us. you have been an inspiration to me.I watch your videos alot and i am happy that my makeup skills have improved. I dont know much about you but I admire your love for Christ. Thank you so much dear and God Bless you. Yeepy Dinma is back.thank God for makin every imperfion perfect in ur life.missed u and glad to have u back. Ohh summary, thank God for u dear, so happy u're back. So happy that you are fine. Saw your post on Instagram. Just started reading all your lovely beauty posts and tutorials. I've noticed that you place a bible verse at the bottom of every post...'I love it'. Will start following your blog from today. Welcome bk dear and Thank God for a successful surgery. Welcome back and all praises to God that you're doing great! I feel like it was fate for me to see this post. I was just diagnosed with a goiter yesterday, which I discovered from pain and swelling in my neck 2 weeks ago. I am preparing to go for testing and, though I'm a bit rattled about the situation, I have faith that everything will work out. If you have time to reply, I'm curious about potential effects on your body from the removal? Or if they anticipate that things should continue to be normal with regular medication? Thank you for your time. You shouldn't be worried. Your life is going to be completely normal with regular medication. It has no negative side effects if the surgery goes well. Yaaaaaay shes back *dancing azonto* good to have you back. xoxo. Thank God for everything.Hes a good God..It is well .. Welcome back and Thank God for your speedy recovery. I'm glad you are doing well and feel healthy enough to continue blogging! 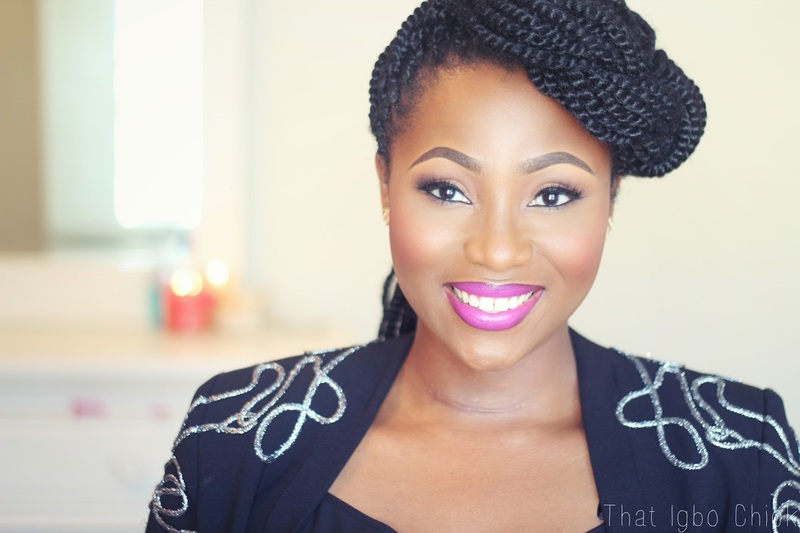 I'm an US-based Igbo subscriber and visiting your blog makes me feel more connected to my land. Welcome back! Welcome back, Dimma. Chi dinma, really. Thank God for seeing you through and giving you a smooth surgery; stay blessed. Welcome back dearie!! Looking fabulous as ever!!!! God be praised! Thamk for the enlightenment. It is well.with u IJN. posted several comments but they aren't here. hope you're getting better and healing well. stay blessed,it is well. Having mine removed by November (God willing).. You totally just re-assured me., was scared shitless -I'm 18, plus mine is toxic-. Thanks. P.S: Do you use LR-Thyroxine?